Moving video applications that previously ran on dedicated hardware appliances out of a headend and into the cloud means a whole new way of working. Born-online video providers like Netflix pioneered the paradigm. Pioneering Pay TV operators and broadcasters have adopted it to support at least parts of their multiscreen services. We are now starting to see the first broadcast operations (for services that are distributed over satellite, non-DOCSIS cable, or terrestrial) moving to ‘the cloud’. The cloud increases agility, meaning services and workflows can be provisioned and dismantled faster, and features updated more regularly, among other things. Overall cost savings are possible but may have to wait, depending on the deployment model (building an on-premise datacentre is not cheap). Cost savings or not, the benefits are such that a TV industry migration to the cloud looks inevitable. There is no uniform cloud implementation, and media companies will have to make at least two important (though non-binding) decisions at the outset. The first is whether you use a private cloud (like an on-premise datacentre) or rely on the public cloud (in datacentres that other companies can use, like those provided by Amazon Web Services or Microsoft Azure) for the cloud infrastructure (e.g. compute, storage, networking, security resources). The second decision is what kind of software architecture you want to underpin the video workflow functions. Option one is to migrate software that was designed for use on dedicated appliances (in a traditional headend) but which can be abstracted to the cloud and hosted in a datacentre. This is called cloud-enabled video software and migrating this ‘unreformed’ software is known as a ‘lift-and-shift’ model. Option two is to use software that has been re-architected specially to exploit characteristics of cloud operations. This is what is known as ‘cloud-native’ software. Today, ‘cloud-native’ is virtually synonymous with microservices-based software. As with most migrations, we will live in a hybrid operations environment for many years. 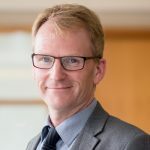 Some companies will use a mix of traditional headend, private cloud (on-premise or off-premise) and public cloud for their applications, and a mix of ‘cloud-enabled’ and ‘cloud-native’ (microservices-based) software in their datacentre video operations. Some companies will skew towards cloud-enabled and private, and some towards cloud-native and public. A microservices model can be used in either private or public clouds. There is no single correct implementation. Nevertheless, there is a view, supported by several leading television vendors, that microservices-enabled, cloud-native software is superior. They believe that you can only exploit the true potential of the cloud (whatever its type) with a microservices architecture. 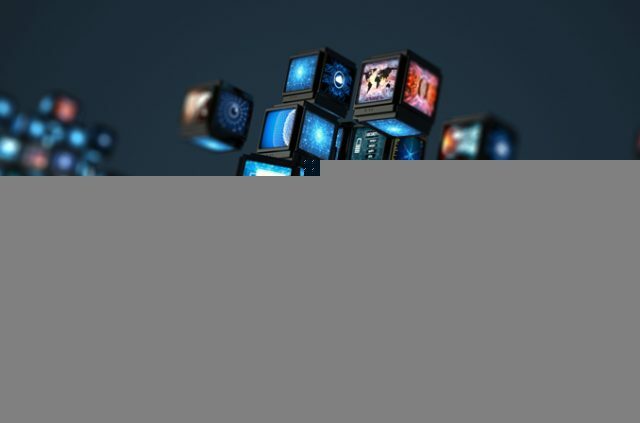 The benefits claimed for microservices are dramatic and are studied in full in a new Videonet report called ‘How microservices take cloud-based TV operations to another level’. Where cloud gives you agility, microservices-in-the-cloud brings super-agility, with faster software development at lower risk. Where cloud utilises compute, storage and networking resources more efficiently, microservices-in-the-cloud makes even better use of them, pulling down operating costs. The ability to scale cloud resources (e.g. compute power) only for the sub-segments of an application or service that need them at any given moment. This avoids the need to scale an entire platform that the applications are part of (where other parts of the system are not currently under strain). The isolation of software development so developers can work on part of a service without requiring extensive knowledge about the rest of the software stack. The ability to update, release and – if necessary – pull back a software release without impacting the applications around it, which is the basis for faster software releases and reduced innovation risk. Because of their isolation, it is easier to replace microservices-based components or groups of them. The way processing tasks can be spread more effectively across cloud resources, with high levels of automation. This boosts elasticity and scalability but also gives more flexibility when establishing redundancy systems (and the infrastructure and policies that underpin them). Microservices are also credited with encouraging software commonality that helps to eliminate operations siloes within media companies. It is still early days for the cloud in the media industry, let alone microservices, and sometimes the work towards this new cloud software architecture is still behind closed doors. One European IPTV provider told us off-the-record about an ongoing project to migrate its middleware platform into a microservices-based solution. The company is taking the part of the middleware that deals with the business logic and splitting the functions into several microservices. Other middleware processes, like those related to content protection or video streaming, will also migrate to microservices in time, constrained by the speed at which different vendors will re-architect their software. An executive said: “Microservices run independently of other functions, reduce complexity and are highly scalable. They make software more autonomous. They help us become more agile.” Some software development release cycles for the adapted middleware on the IPTV platform are four weeks, down from 6-9 months, and more improvements will be possible. Orange has gone public with its own microservices project. The IPTV provider is using this model on a subset of its TV service platform (more details in the report). Discovery Communications is another microservices pioneer, using software that was specially re-architected for use in the public cloud across a range of playout functions (more details in the report). One major Pay TV operator in the U.S. has deployed its whole Pay TV Lite (standalone, subscription online skinny bundle) service in a microservice-based cloud operations environment. Industry-wide, a number of workflow functions are already harnessing microservices. These include transcoding archive and newly created content, fast live-to-VOD, graphics insertion, subtitle insertion and scheduling, and VOD delivery. Metadata management is a process that can move to microservices early. 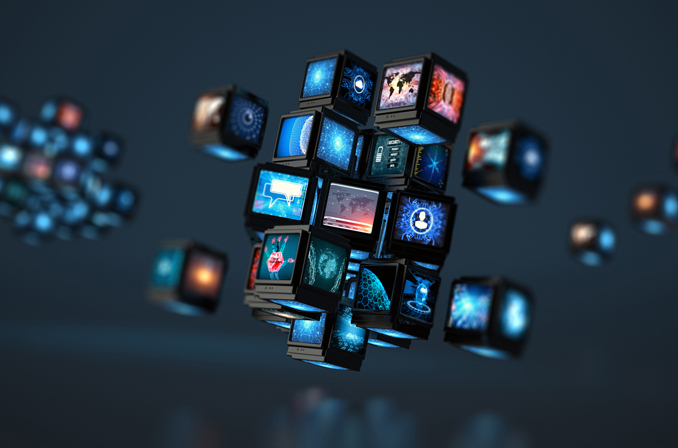 In its white paper called ‘The Impact of Microservices on the Future of the Media & Entertainment Industry’, Imagine Communications argues that microservices are the building blocks upon which all modern and successful digital businesses are constructed. “This relatively new software design architecture is instrumental to the spectacular and seemingly overnight success of Netflix, Uber, Airbnb and essentially every other digital business that gained commercial prominence in the past decade,” the paper declares. There are microservices pioneers in the more established television industry now, but are we approaching the point when a fast-follower market emerges for cloud-with-microservices? “I think this approach is going mainstream,” Ian Massingham, Worldwide Lead, AWS Technical Evangelism, says. Discovery Communications is hosting its microservices-based playout on the AWS public cloud. Koehler believes microservices takes cloud operations to another level and is therefore a natural next step for companies who are already cloud-enabled. Meanwhile, Piksel, the multiscreen backoffice and metadata technology provider, and another microservices pioneer, is convinced that a cloud-native future awaits. Piksel made a full strategic switch to microservices over three years ago, with features and services offered on a foundation framework called Piksel Palette. The independent and modular components can be joined together to create a wider workflow solution and everything fits into a multi-vendor media operation. Every microservice can be swapped out and scaled up and down independently, in the cloud. Much, though certainly not all, cloud usage in the established TV industry (e.g. Pay TV platforms, broadcast groups, subscription channel owners) is what Christie would call ‘lift-and-shift’ today. Solution vendors who previously married software with dedicated hardware port their existing software into virtualized instances in a datacentre, without any software redesign. These efforts must not be dismissed but, in his view, they are only a starting point on a cloud journey. He confirms that when unreformed software is moved to the cloud in this way, you still gain efficiencies including cost-savings and improved flexibility. But this software will be constrained in what it can achieve in a cloud. It will not scale as efficiently as cloud-native software. Processes will not be as automated. There may not be the rich APIs that make integration with other cloud components easier. Interested in the potential of microservices-based video processing and workflows? This story is an edited excerpt from Videonet’s new report: ‘How microservices take cloud-based TV operations to another level’. Likely migration paths to a microservices television cloud. It contains original insights from Orange, Ovum, Piksel, IHS Markit, Amazon Web Services, Harmonic, Imagine Communications and others.